Gary Smith had worked solely for Pimlico Plumbers for six years. Despite being VAT-registered and paying self-employed tax, he was entitled to workers’ rights, the court ruled. An employment tribunal was “entitled to conclude” that Mr Smith was a worker, the court ruled. As a worker Mr Smith would be entitled to employment rights, such as holiday and sick pay. “It can only lead to a tsunami of claims,” he added. Tim Goodwin of law firm Winckworth Sherwood cautioned that the ruling may not apply to other complaints. 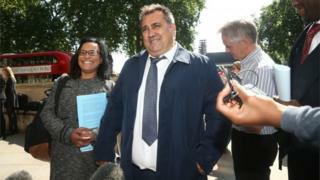 And Alan Lewis, employment partner at law firm Irwin Mitchell said the decision was not a “game changer” and that cases would continue to be argued on their specific facts and, for businesses that rely on self employed contracts, that means further uncertainty. “Pimlico’s plumbers do not operate a gig model and the implications for Uber, City Sprint, Deliveroo etc may be limited, although the publicity around this case may encourage other ‘self employed’ contractors to challenge their legal status,” added Mr Lewis. 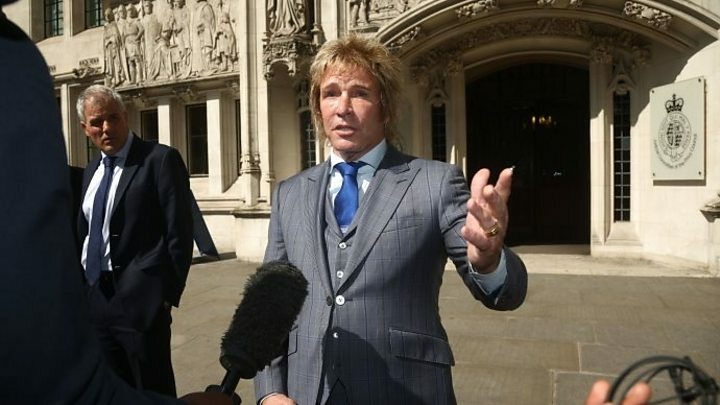 Media captionPimlico Plumbers boss says judges missed chance to bring employment law into 21st century. Could the Pimlico Plumbers ruling be a watershed moment, a decisive shift in favour of people seeking employment rights? It is a powerful precedent and the fact that the judgment comes from the Supreme Court means that it will weigh heavily when similar cases come to be heard. However other cases, like those involving Uber and Deliveroo are unlikely to be stopped in their tracks. Each firm has a different way of operating, different contracts and makes different demands on people working. Some allow you to get someone else to do the job instead, for instance, while others do not. That’s one of the key tests of employment status. So there’s a bit more clarity now, but expect the court challenges from gig workers to keep coming. TUC General Secretary Frances O’Grady said the case had exposed “how widely sham self-employment has spread”. Ms O’Grady said the TUC wanted the government to act quickly to “crack down on bogus self-employment” . At the moment it is up to an individual to prove that they are employed and entitled to workers’ rights. The TUC wants the “burden of proof” to be reversed so workers benefit from rights “unless the employer can show they are genuinely self-employed”. “It’s time to end the Wild West in the gig economy,” said Ms O’Grady. In February the government promised to overhaul employment rights to improve conditions for millions of workers, including those in the gig economy. The proposed changes include stricter enforcement of holiday and sick pay rights, and higher fines for firms that breach contracts or mistreat staff. It is currently consulting on the proposals. It is a response to last year’s Taylor Review into the gig economy, which concluded that all work in the UK’s economy should be “fair and decent” and that people who work for platform-based companies, such as Deliveroo and Uber should be classed as dependent contractors. Author Matthew Taylor said that the combination of the Supreme Court decision and the government’s proposals to reduce the tax incentives for companies to employ freelancers, would “inevitably squeeze firms’ freelance budgets”. “This is generally a good thing, especially if it leads to more people who are employees in all-but-name securing proper workplace rights,” he said. Mr Smith, from Kent, began his battle with Pimlico Plumbers when he wanted to reduce his hours following a heart attack in 2010. He wanted to cut the five-day week, which he had been signed up to work with the firm, to three. However, the firm refused and took away his branded van, which he had hired. He claims he was dismissed.